It’s that time again! Oh yeah, Cartoon Network brought back Toonami this week. Anyone that actually keeps up with the shows in this feature is probably not interested, since the lineup mostly consists of old shows anyway. I just thought it was worth mentioning to all you anime fans with a thing for nostalgia. Haru has made it to level 4, but has hit a rough spot in his progress. Awkward moments run rampant for Haru when he returns home to a strange little girl that insists she is his distant cousin. Like most little girls in anime, her cuteness is second only to her abilities as a killing machine. Prepare yourself for yet another awesome Brain Burst battle. 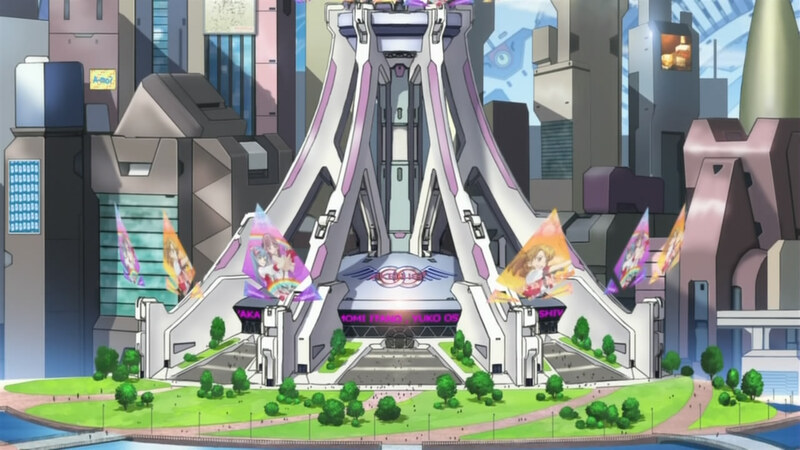 Idol Self Promotion: The Animated Series continues as the girls arrive at the city where they will live and train to become the next generation of AKB0048 members. This week the girls learn that dance instruction is as tough as combat training (!? ), as well as seeing the toll taken on girls that just can’t seem to make the grade. 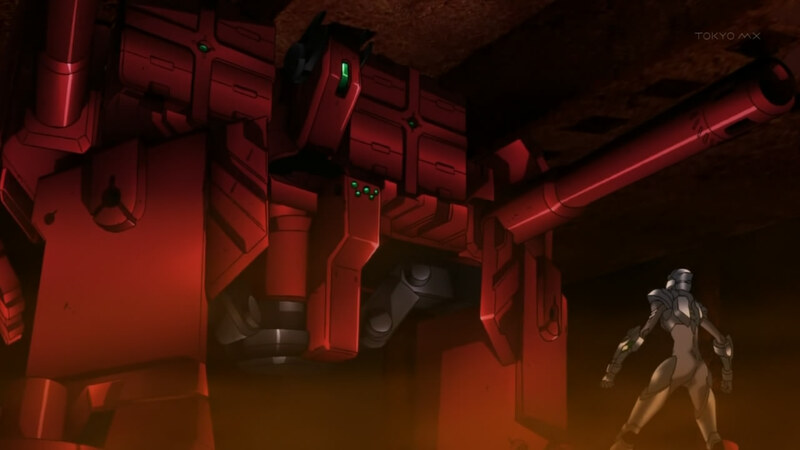 While I have to admit I was disappointed that this week’s episode did not have idol vs. space marine combat, it was still fun to watch. This episode is the second part of the obligatory beach episode. There are a ton of laughs in the beginning, during what is the most hilarious breakfast conversation of all time. 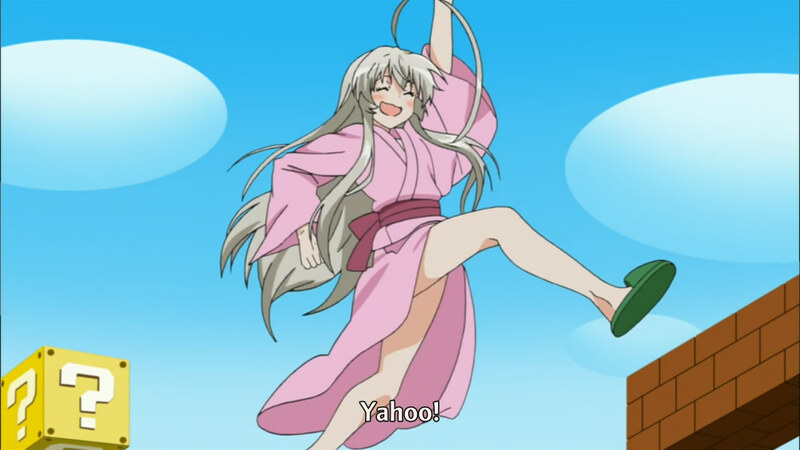 Unfortunately, things go in a strange direction when Mahiro’s rejection of Nyaruko gets out of hand and he has to make things up to her with a date. The second half of the episode seems to leave behind the zany formula for a more traditional romantic comedy, and it all just seemed out of place for this show. While this episode was far from terrible, I felt it was the weakest one I have seen so far. Now that the all-powerful magical-girl Chris has freed herself of the curse that trapped her in the body of a middle-aged man, Ayamu and company have to find a way to stop her. This forces Ayamu to ask for help from the only person that knows Chris’s weakness- Kyoko, the magical girl/serial killer that took his life. Anyone who has been waiting for Kyoko’s return to the show will be more than happy with this week’s episode and the generous helping of Kyoko fan service. 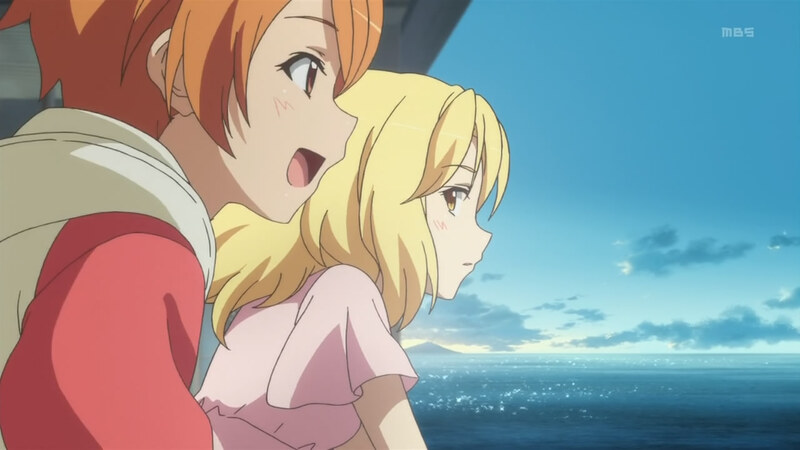 With Saki’s move drawing ever closer, the girls decide to take a trip together. They eventually decide they will all travel to the island that Saki is moving to, so they can all see what her future hometown will be like. There is a very interesting confrontation towards the end of this episode that will leave viewers curious. For some reason the credits roll early in the episode, and it actually continues for a few minutes after the credit roll, so be sure to keep watching. 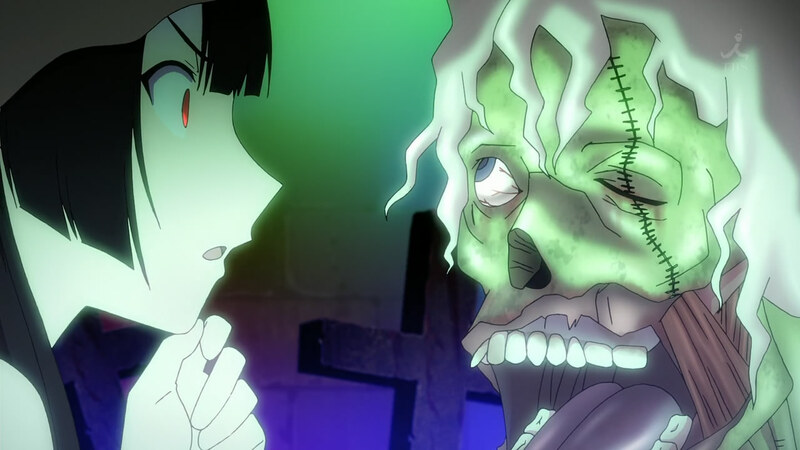 This week preparations are underway for what is the craziest school festival in all of anime. It’s strange enough that this festival has tanks and fighter jets rolling in for the festival, but it’s even more entertaining to see the instructors being delighted by collateral damages caused by the festivities being set up. 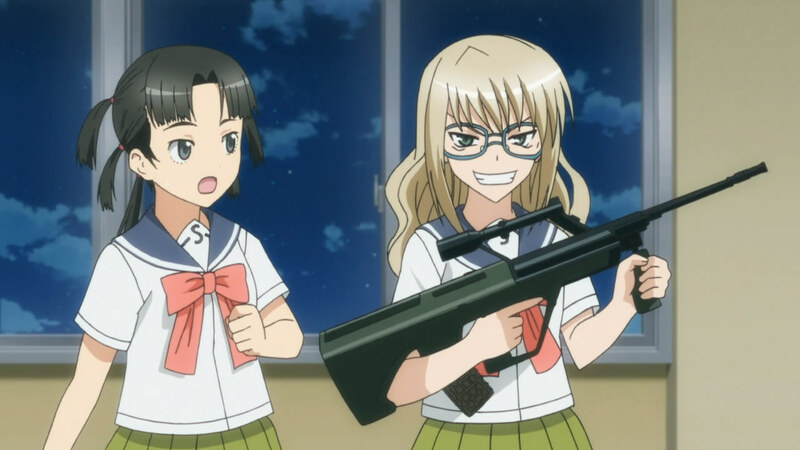 Oh, and the girls will be showing off their maid costumes, just in case you thought all that military hardware was going to take the moe down a notch. M-16’s jungle-camouflage maid outfit is pretty damn awesome, by the way.